Alright so I’m a bit of a procrastinator when it comes to personal work. But I’m getting there. This is Part 4 in a little series documenting how we planned our destination wedding in Provence from an ocean away. Part 1, 2, and 3 is here, here, and here. In this post, I write about how we arranged the other big items for the wedding, after the venue, and the photographer. I won’t go too deep into this topic, because after all, the invitation is common to all weddings, not just destination weddings. I think like all things associated with a wedding, there seems to be a lot of traditions and what seems to be must-do’s when it comes to invitations. However, M and I firmly believed that you can make up the rules as you go and be adaptable when it comes to weddings…and many other things in life. Before I start, let me just put it out there that I love paper goods. It’s almost unnatural…I’ve loved paper goods and stationery items since I was little, from erasers and pencils to journals and special letter sheets (what are these called?! They are themed letter paper material often with illustrations and such…is this only an Asian thing?! You will see lots of these all over Asia). I also love a good hand-written note or letter, and I used to have pen pals when I was younger. So that probably explains why I spent almost as much money on our invites as my dress. I say I because M couldn’t really understand why I’d spend so much money on paper items that we are only going to use once…He had a point to a certain extent but I just couldn’t help it and so I happily paid for them myself. I won’t talk about the normal etiquette behind wedding invitations, you can easily google these. We ended up making our own Save the Date cards since we were having a destination wedding – it was fun coming up with the idea. 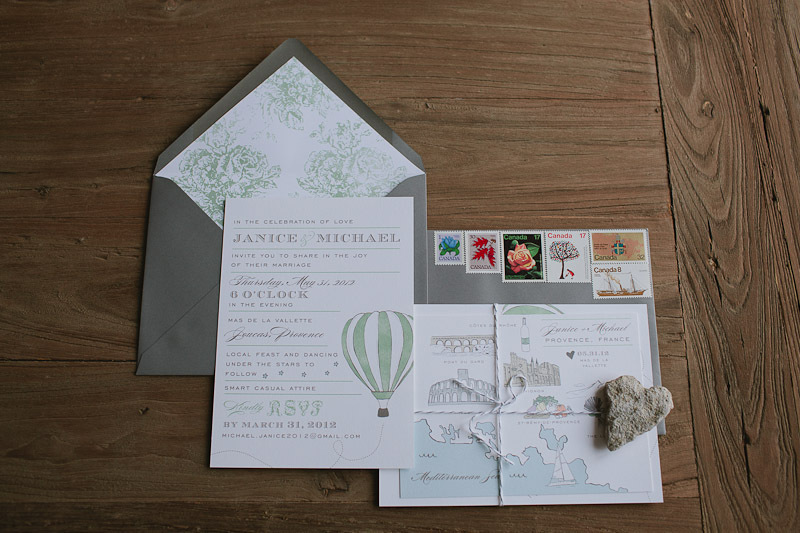 Then for the invitation, I hired a custom invitation designer based out of New York called Swiss Cottage Designs. I had stumbled upon her work online (the internet is a great place indeed) and then got in touch! We didn’t get everything that could come with a “normal” invitation suite (such as a RSVP card), which definitely helped with the cost (it can cost a lot more with all the bells and whistles). But then I splurged on having a custom illustrated map. Did I mention I also love maps? Especially vintage maps. So that’s what we did with our invitations, but there are lots of other options available. You can use template designs if custom is out of your budget or is just not something you greatly care about. There are lots of template invitation design companies, and you can even find great designers on Etsy. P.S. instead of an RSVP or Reception detail card, you can put that info on your wedding website (if you are doing one) and include a link to that on your invitation. There are so many options to building your own site now; you can use Blogspot or WordPress. It’s super simple. Here’s how everything looked all put together (photo by me). The invitations really wasn’t DIY since we hired a professional but nevertheless I felt we “hacked” the process since we didn’t get everything you are “supposed” to get, we also hand assembled everything together (thankfully our guest list was teeny tiny) and sat for an hour or so sorting through stamps. Oh yea I also used to collect stamps when I was younger, so I bought these fun vintage stamps from Send More Mail. Unfortunately, I couldn’t find anything nice for international mail so they just got a regular printed label from Canada Post :D And yes that is a heart shaped rock, there is a story behind that. Alright, I think one of the pieces of advice I read about the most while planning our wedding was to prioritize what’s most important to you and spend your funds accordingly. Easy to say, but hard to do. Everything seemed important to us, as least the big things. 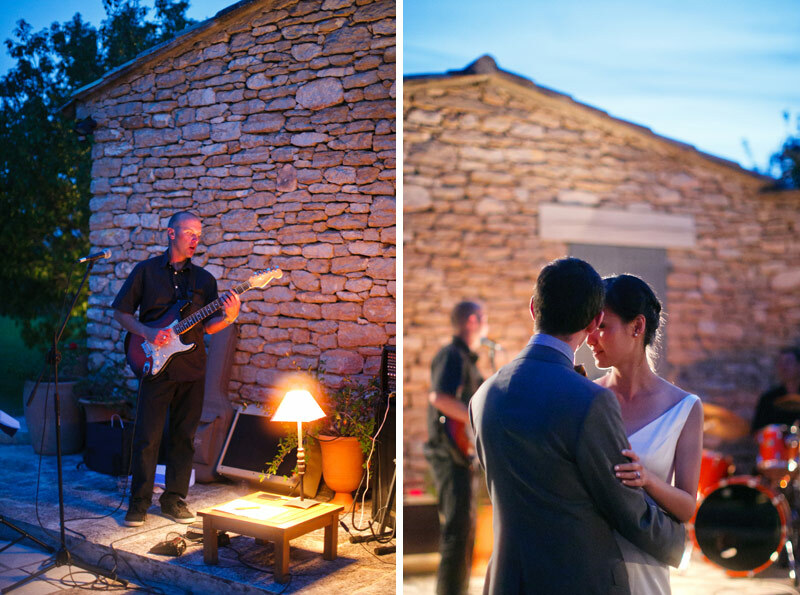 We wanted a beautiful location that was quintessential Provence but not a castle or chateaux. We definitely wanted delicious local food, after all, you are in France. And then there is music, and of course, the photographer. I have to say that right off the bat, the photographer was the most important to both of us. I am a photographer after all ;) But honestly, after all that’s said and done, the photographs are the only things you will have to remember this special day by. It would have been nice to have a cinematographer, but that wasn’t in our budget. Luckily, my uncle recorded our ceremony for us and that was really special. Food, where were we going to find a catering company without the help of a wedding planner, from an ocean away? Luckily (we did get quite lucky), the property manager for the vacation house we rented has a colleague who works for her and cooks meals for guests upon request, as well as offering cooking lessons. It felt a little strange to hire someone whose work we couldn’t see, or rater, taste. It felt very strange. In the end, we decided to trust our guts once again. After all, Beverly was more than welcoming and accommodating with my numerous emails (she later admitted it drove her a little crazy, hahaha…) I didn’t think she would recommend someone unfit. Not to mention, it’s really more of a family & friends gathering, not a proper large wedding that requires 10 servers and so on and so forth. My final line of reasoning was, she’s French! Her cooking has to be good. :) I know, this could haven been a total load of crap. But I did say we went with our guts. We ended up spending about the same amount as the average cost per plate of food for an average wedding in Canada. This also included dinnerware, glasses, utensils, linens etc. The house had enough outdoor furniture that we used for both the ceremony and the dinner afterwards, no rental necessary. I don’t have any photos of the food unfortunately, but we had Provençal Chicken/Provençal Beef for the main course and they were probably some of the best chicken and beef I’d ever had. These were the rest of the big items to be squared away. I felt considerably better after that. And then I would say I kind of obsessed over the smaller details for the next 3 months or so. Just a little. I knew all the wedding blogs, read all of them, and constantly saw new and creative ideas to do for our wedding. Oh, an outdoor movie screening complete with floor cushions and a projector? Sounds amazing! and I love movies! (Where in God’s name was I going to find a projector in the country side?! hmm) A welcome goodie bag for our guests stuffed with local goodies and other useful stuff complete with a hand screen printed canvas tote? Sounds like fun! (Ok, they are our guests, not children, they are probably more than capable of figuring out things on their own and really I didn’t have the time) It was just a cycle of blog surfing and more and more details. Finally I realized how overwhelmed I felt and worse, I was starting to feel like our wedding wasn’t going to be very pretty or blog worthy. And as soon as I thought that, I said to myself, what is wrong with you?! Who cares about these things? No one is probably even going to notice if you had mason jars or stripped paper straws, why am I driving myself crazy with these details? That wasn’t why we were getting married, didn’t you know that? The worst part was, I did know that, I just lost sight of that reason a little somewhere along the way. So I stopped visiting the blogs, and went to a blog I hadn’t visited in a while. One called A Practical Wedding. Their motto is “weddings. minus the insanity, plus the marriage” Just what I needed. Then I read The Mason Jar Manifesto by none other than one of my favourite photographers, Jonas Peterson. He hit the nail right on the head. So I stopped visiting the wedding blogs and concentrated on the reason why we were having this wedding at all – a commitment and manifestation of love, a celebration of family and friendship, and focused only on the details that were meaningful to us. Looking back, the way our funds were allocated (we still have the spreadsheet of everything) reflected our values and what we considered to be most important to us. 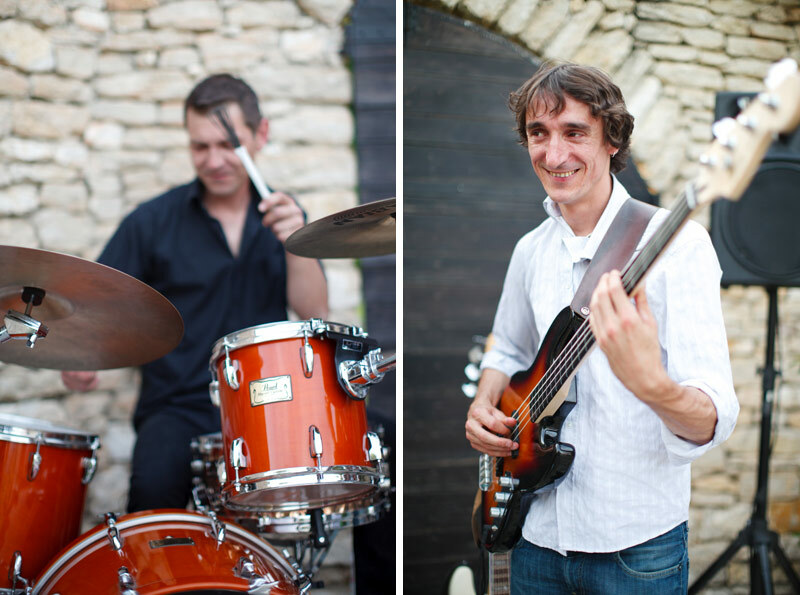 A beautiful but intimate venue and amazing photos took up about 50% of our budget. Followed by great food, terrific music, my dress, and invitations. In the next instalment, I’ll do a run-through of the day and maybe recount some funny stories and fond memories.